Welcome to Luna Nueva Hostel. We would like to invite you to get to know our facilities, service, comfort and the special attention which our guests receive. If you are looking for a helpful, cosy place to stay which has all the accommodations, a perfect location and affordable rates then youve found it. Luna Nueva has 1 shared rooms with fans. these rooms have 7 bunk beds, and each bed has its own locker with a key to guard your personal belongings. 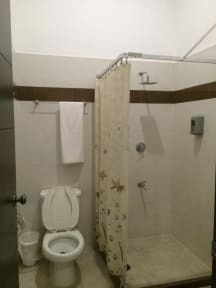 We also offer restrooms for men and ladies, showers with hot and cold water. Furthermore we have 3 double rooms with 1 full size bed, and 1 double room with 2 individual beds. Each double room has a private bathroom, closet, air-conditioning and a fan. 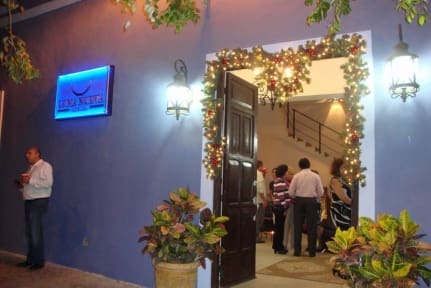 Luna Nueva is located on the historic Paseo Montejo, at the exact point where the historic city centre begins to change into contemporary Merida. In just a 10 minute walk you can see the history of Merida, or how rapidly Merida is developing. On the block where Luna Nueva is located, there is a bank with an ATM, a gas station, a local market, and numerous restaurants.